The folks over at Just Mobile have just debuted their first ever kickstarter campaign for what they are calling the ‘ShutterGrip’, an ingenious grab-and-go camera control for your smartphone. Compatible with almost every iPhone, with or without a case, the ShutterGrip promises to take your iPhone photography to a whole new level by bringing the comfort and security of holding your phone in one hand while taking crisp, stable photos and videos. Its sculpted handgrip and shutter release button give you the feeling of holding a traditional single-lens camera, as you shoot away with your iPhone. 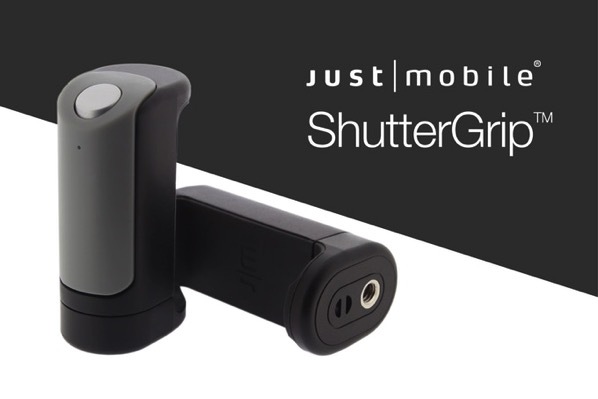 ShutterGrip supports any smartphone that has Bluetooth 4.0 or later, and has volume keys as shutter release key. 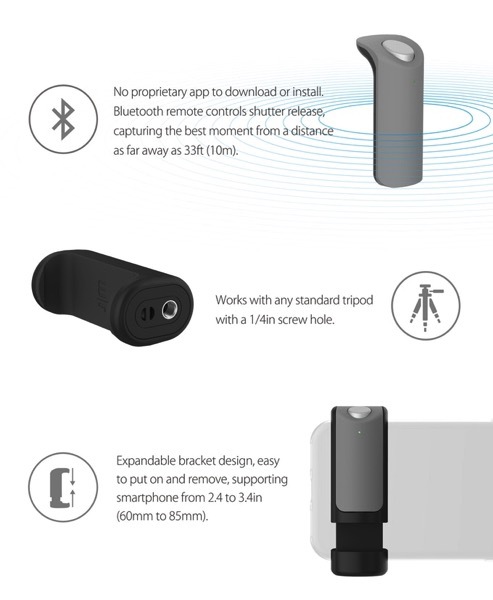 All you need to do is attach it to your iPhone and pair it over bluetooth just like any other device and you are good to go. Thanks to its universal compatibility with Android and iOS, no special app needs to be installed. Having used an early prototype of the ShutterGrip with my iPhone 7 Plus, I have to say it stabilizes selfies and other single-handed shots pretty well. I also love the idea of the detachable trigger that works great as a remote bluetooth camera shutter, especially since the grip has a built-in standard screw hole which allows for mounting on any tripod. It’s impressive how a simple accessory turns out to be this handy and productive. The project has already raised over $9,000 of its $20,000 goal on kickstarer with 24 days still to go. To back the campaign and make a pledge for as low as $28, hit up this link.